Since 1956 Locker Group has been an industry-leading provider of perforated metal. The company has developed a specialised range of metal products to meet the needs of architects, designing facades, balustrade and weather screens, as well as interiors and specialised features. 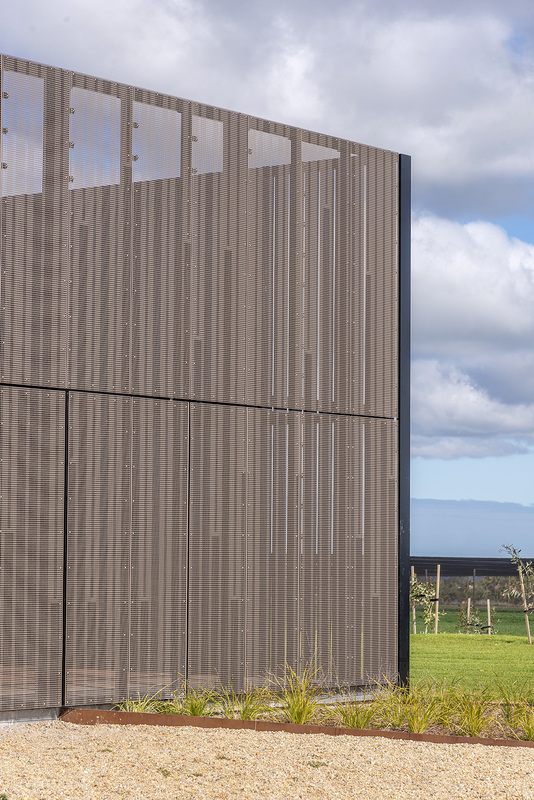 Locker Group’s perforated metal sheets are a cornerstone of the architectural range, adding a visual spark to dull structural facades and displays. The range encompasses a huge variety of metal bases, with perforations tailored to precise client requirements. This ensures you get a product that is a perfect fit for your needs and creates a striking statement in any application. 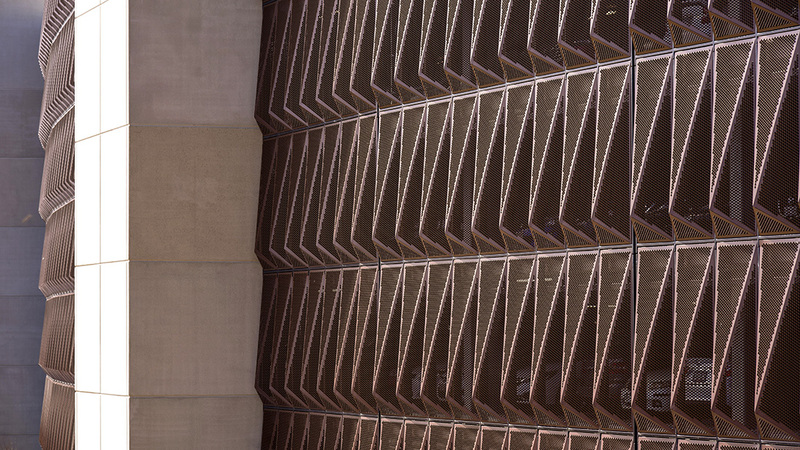 Perforated metal sheets are manufactured by using small perforations to create stunning architectural designs. Locker Group has a myriad of options available – hole size, shape and pattern are tailored to client specification and enhanced with three-dimensional profiles like Pic Perf Directions. You can also build borders, folds or notches into your bespoke metal sheet shapes, depending on your unique requirements. the company’s vast library of tools allows you to create one of a kind patterns and designs. The only limit to the visual potential is your imagination. Perforated metal sheets are designed to allow for maximum airflow and enhance natural lighting, with the perforations created to encourage these while shielding interiors from strong winds or severe weather. 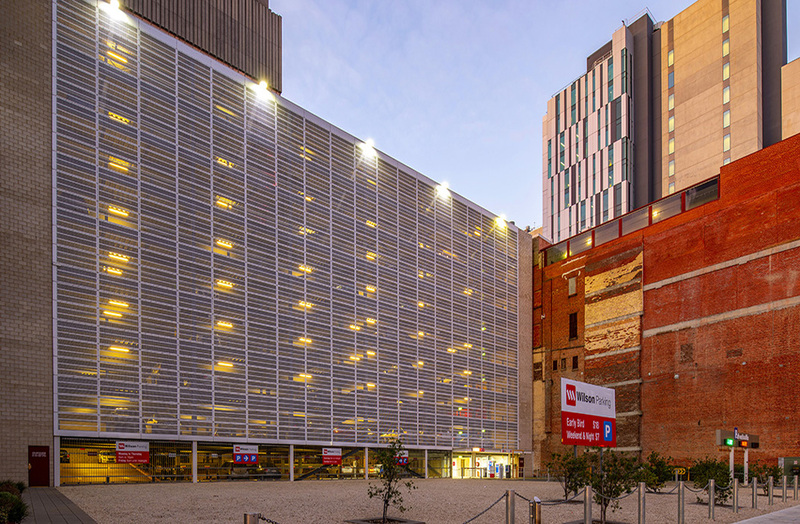 These architectural products can be added to existing frameworks to act as a striking façade or can be used as panelling and screening for internal or external application. Locker Group can perforate almost any material, including stainless steel, aluminum and other metals. It also offers a variety of coating treatments including anodizing, powder coating and electroplating, depending on your needs and the atmospheric conditions of your project. With your innovative design and our consultation, you can create a design that will make a lasting artistic statement unto itself.